Kernza wheat (Thinopyrum intermedium) at the Land Institute in Salina, Kansas. The mature wheat will be tied into bundles and fed into a small combine for threshing. Sometime after the last ice age, human beings began to cultivate annuals for food—the first being an early ancestor of wheat called emmer in the Fertile Crescent. 10,000 years ago rice was grown in Asia, and 9,000 years ago corn was domesticated in Mesoamerica. These three annuals became the staple crops of the world and remain so to this day. Perennial grains and cereals would be a game-changer for soil, carbon, and cost. Perennial crops are the most effective way to sequester carbon in any agricultural system because they leave the soil intact. The difference between annuals and perennials is that annuals die back every year, roots and all, and regenerate solely through seeds. Perennials die back too, but not the roots, which produce new growth. Researchers are pursuing grain, cereal, and oilseed plants that are perennial food providers. 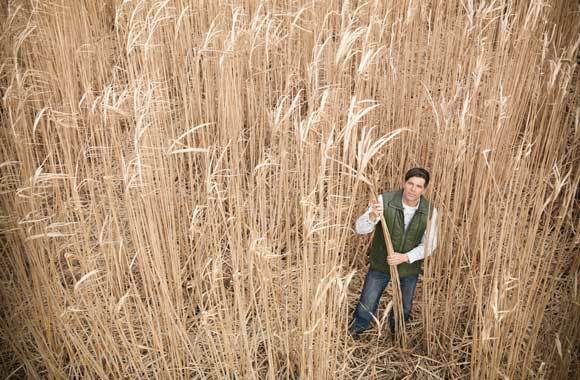 Two successful efforts to breed perennial staple crops have emerged. The Yunnan Academy of Agricultural Sciences in China focuses on rice. The Land Institute in Kansas has been attempting to breed perennial wheat for more than forty years, and may have it in a variety called Kernza. They may ultimately make it possible to farm without disturbing the soil. human beings began to cultivate annuals: Chatterjee, Rhitu. “Farming Got Hip in Iran Some 12,000 Years Ago, Ancient Seeds Reveal.” National Public Radio. July 5, 2013. http://www.npr.org/sections/thesalt/2013/07/08/198453031/farming-got-hip-in-iran-some-12-000-years-ago-ancient-seeds-reveal. rice…in Asia; corn…in Mesoamerica: “The Development of Agriculture.” National Geographic Genographic Project. https://genographic.nationalgeographic.com/development-of-agriculture/. 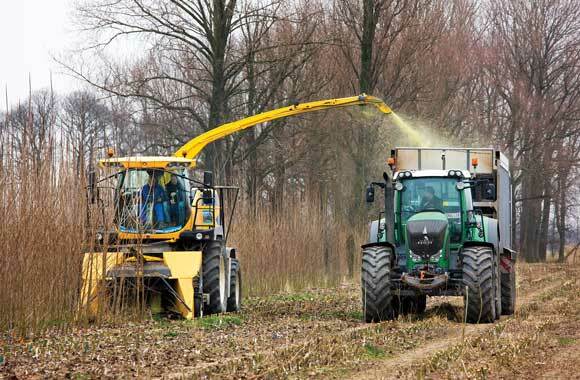 efforts to breed perennial staple crops: Toensmeier, Eric. The Carbon Farming Solution. White River Junction, VT: Chelsea Green Publishing, 2016.
rice…wild ancestors: Khush, Gurdev S. “Origin, Dispersal, Cultivation and Variation of Rice.” Plant Molecular Biology 35 (1997): 25-34.
perennial wheat: FAO. Perennial Crops for Food Security: Proceedings of the FAO Expert Workshop. Rome: Food and Agriculture Organization of the United Nations, 2013; Lubofsky, Evan. “The Promise of Perennials: Working Through the Challenges of Perennial Grain Crop Development.” Crops, Soils, Agronomy News 61, no. 11 (2016): 4-7. Herbaceous perennials die back too, but not the roots, which produce new growth beneath the soil. Using perennial bioenergy crops (e.g., switchgrass, silver grass, willow, eucalyptus) rather than annuals (e.g., corn) reduces emissions and raises carbon sequestration in soil. In a pasture cropping system, annual crops are grown in a perennial pasture. Double-cropping grains and animals sequesters carbon and improves farm health and productivity. Intensive silvopasture intercrops a leguminous woody shrub with grasses and trees. Through rapid rotational grazing, livestock yields increase alongside carbon sequestration in soil.